The U.S. Cyclocross Nationals organizers released footage today of the nationals course that will be used January 5-10 in Asheville, North Carolina, on the Biltmore Estate. In theory, that’s awesome as we have all been eager to get a look. The disclaimer, here, is this isn’t the full lap, and none of the obstacles, like flyovers, are in place. The course isn’t marked either, since we are still a couple weeks out. But you get a look at the terrain, the change in elevation, the grass, off-cambers, and bike barn. For now, we will even forgive the peek/peak mixup in the title. Eric Sjoerdsma’s bar-cam footage is from the 2014 race. That second video was the first test run a few years ago. 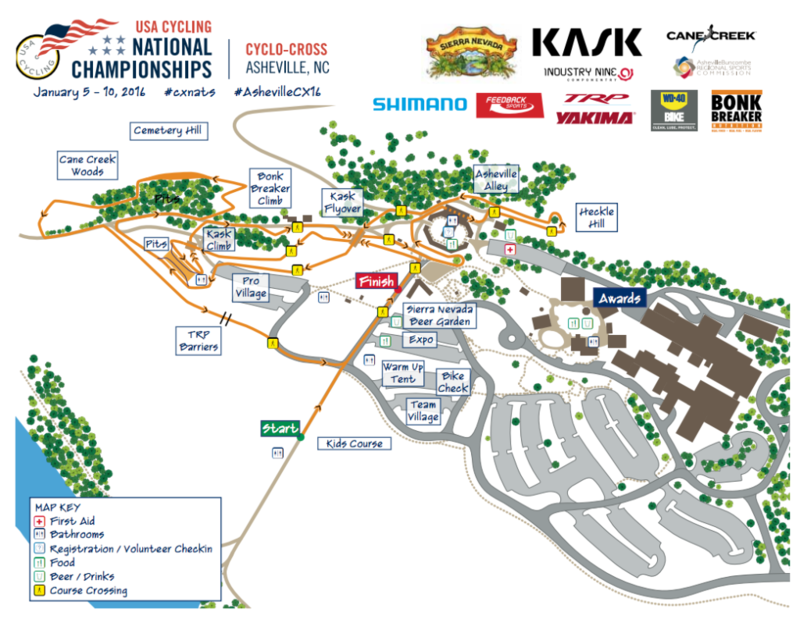 The nationals course is nothing like that and involves way more climbing and tech. If it’s dry, it will be very challenging. If it’s wet, there will be lots of running. Thanks, guys. Updated the videos with the correct one from last year. looks like a long course, not the best for spectating. Do you know if they well have live footage of the event? Actually fellas, the second video is from last year (Jan 2015). I’m in it at the beginning and hadn’t been there for the previous years.